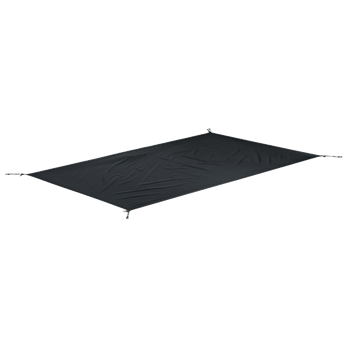 The Jack Wolfskin Floorsaver Groundsheets protect the underneath of your Jack Wolfskin Tent. The footprints of these tarps are slightly smaller than the tent floor to prevent rainwater collecting between the floor and the tarp. The FLOORSAVER is quick and easy to attach to the existing guying points using the elasticated loops.